Walking into Botanist is like a breath of fresh air, literally. 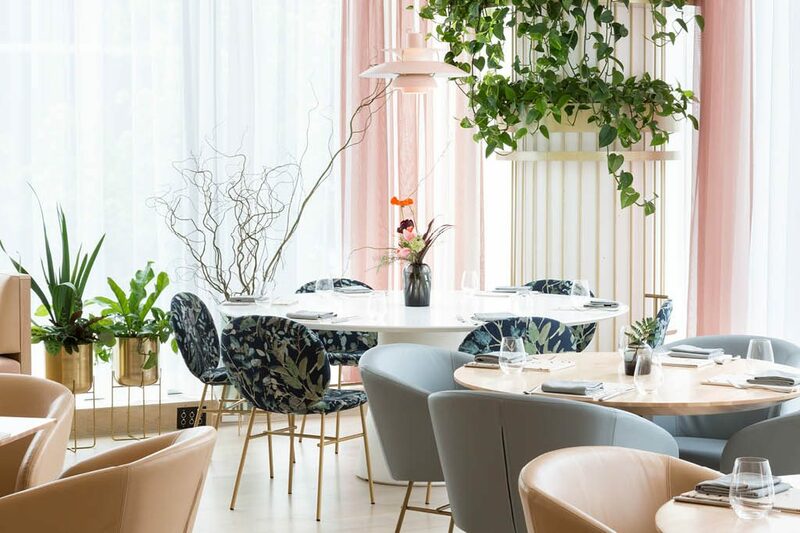 Inspired by the principles of botany and the lush landscape of the Pacific Northwest, this vibrant restaurant, bar, lounge and terrace is a feast for the senses. The room itself is adorned with plenty of greenery, soft peach banquets, brushed gold, and other natural elements throughout. Adding to the ambiance are the melodic tunes coming from the pianist playing the white piano. On the menu, Executive Chef Hector Laguna makes the most of the Pacific Northwest’s bounty. Locally and seasonally driven, each dish is made to excite both the eye and the palate. What would beautiful food be without something delicious to wash it down with? The cocktail program blends chemistry with a playful execution, while the wine list features wineries that practice sustainable, biodynamic or organic farming and winemaking.